For decades the Lithuanian High School was the only full-time high school outside the Eastern Bloc offering courses in Lithuanian history, language, and culture. It is renowned for its rich history, including, especially, the critical role it played as a symbol of freedom for Lithuania during the Soviet occupation. During World War II, thousands of Lithuanians left their homeland fleeing Soviet occupation. By the ending of the war, most of them had ended up in Germany. 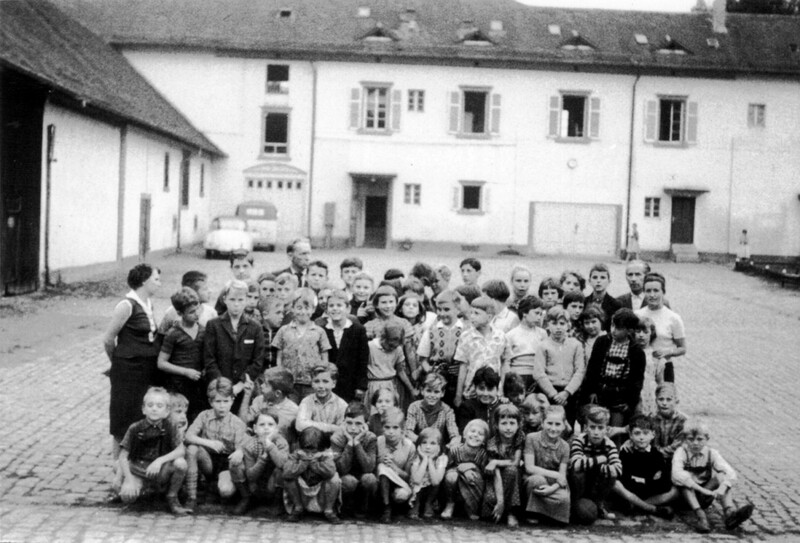 As war refugees they were housed in “displaced persons camps”. Conditions were harsh and their future uncertain. Yet they did not allow that to discourage them and went to work establishing Lithuanian educational institutions for themselves and their children. By 1947 there were 26 Lithuanian high schools, five Lithuanian technical colleges, and 112 Lithuanian primary schools in Germany. By that time, however, it was becoming apparent that Lithuania was likely to remain occupied for the foreseeable future. Lithuanian refugees began to leave war-ravaged Germany. Most emigrated to distant countries – foremost among them the United States, Canada, and Australia. In the wake of their departure, most of these schools were shuttered. 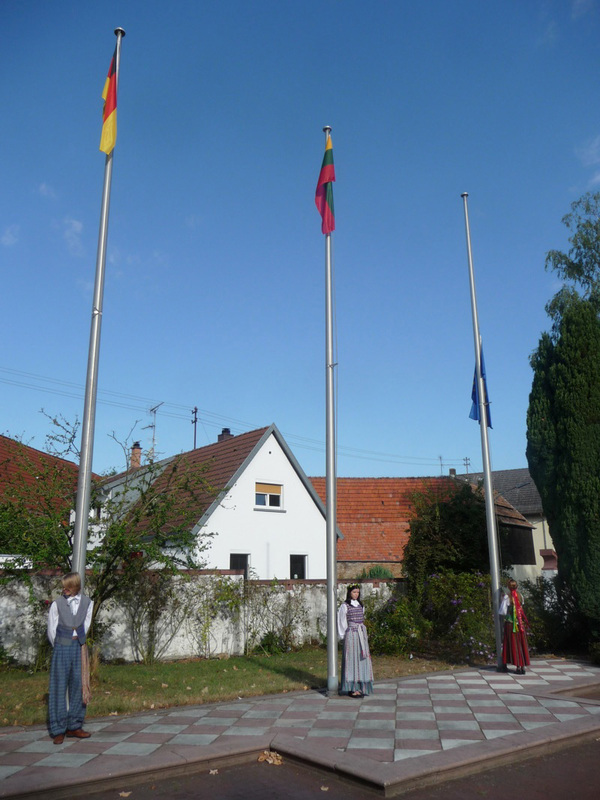 But approximately 8,000 Lithuanians chose to remain in Germany. 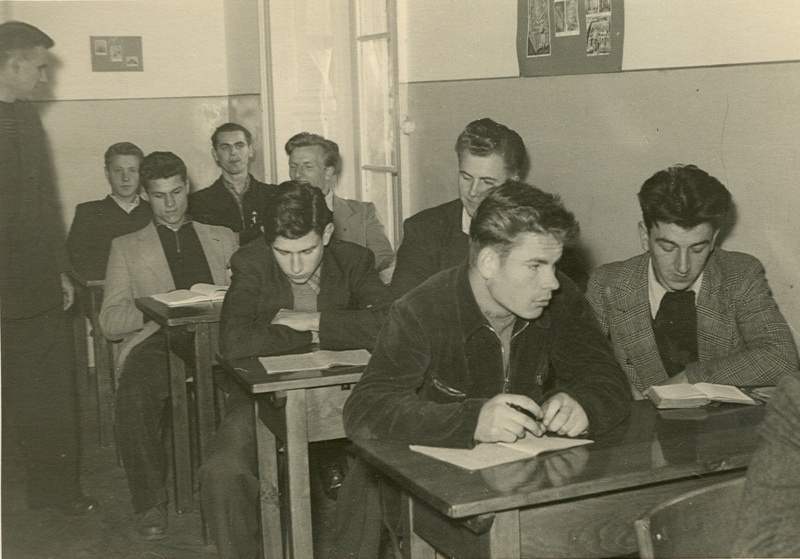 In 1950, Germany’s Lithuanian Community established a single high school for Lithuanian students. The high school was founded in Diepholz – the site of a displaced persons camp where many Lithuanians had lived since the end of the war. In 1954, the Lithuanian Community acquired Rennhof Manor House with its twelve-acre park in the town of Lampertheim-Hüttenfeld. The school was relocated there. Throughout Lithuania’s 50-year struggle for independence from Soviet rule, the Lithuanian High School promoted engagement with Lithuania as well as support for dissidents fighting for freedom and human rights behind the Iron Curtain. 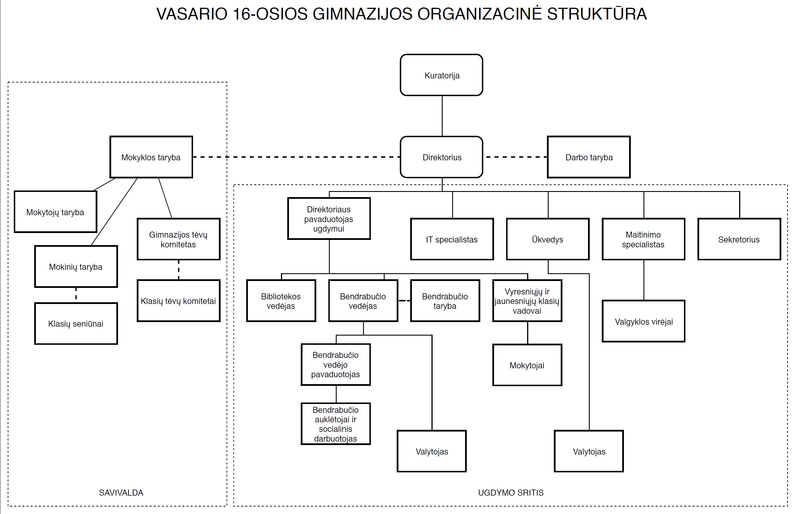 With the advent of the reform movement “Sąjūdis” in the mid-1980s, the Lithuanian High School became an increasingly important conduit for ideas and support for reforms that led to Lithuanian independence in 1990. Following the reestablishment of independence, the school continued to serve as a cultural center for Lithuanians in Western Europe and a bridge between Lithuania and the West, providing an opportunity for the children of Lithuanian expatriates to integrate without losing their Lithuanian identity. Receiving full state accreditation in 1999, the Lithuanian High School remains the only full-time Lithuanian educational institution in Western Europe.